Rigor and agility: the paradox of good project management? How change management and project management methodologies affect the success of your project by betting on agility and rigor. Last week an article appeared in the newspaper Les Affaires on project management, talking about change management, agility and the paradoxes associated with performance criteria. As Project Management Practice Lead, it’s no secret that this is an area I am passionate about, and seeing it covered in the media inspired me to share a bit about the approach we take at Adviso. 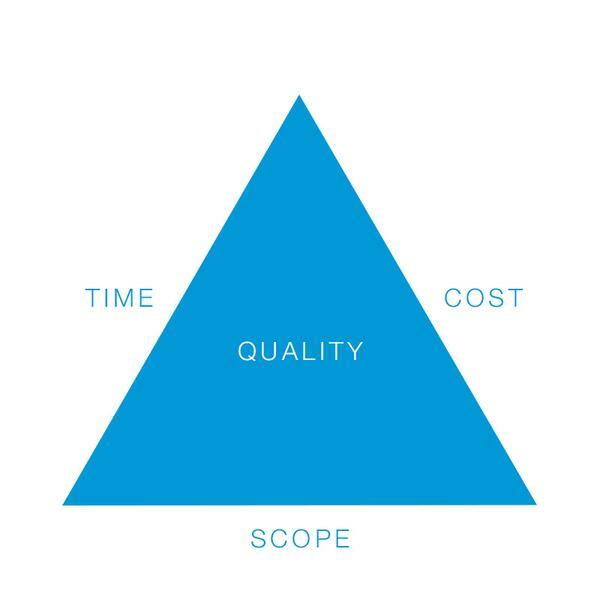 In the article, although the holy trinity of project management – scope, time and cost – was taken into account, the focus was more about the importance of understanding the needs not only of the project, but also of the individuals who will ultimately need to work or interact with a solution, and the need to properly address change management. The paradox some projects face, is that it takes time and money to properly understand them as a whole. Until you can do that, it’s impossible to ascertain the scope of the project. The article boils it down to two distinct roles: one, to manage the project, and the other to manage change. Our team strongly believes in the fusion of these two roles, where the project manager also needs to be an agent of change. Because isn’t the main goal of any project to respond to a need for change? So, how do we go about keeping change management front and centre, while still ensuring that the project’s performance criteria are monitored and met? A project manager has an arsenal of frameworks at their disposal. From waterfall methodology to the multitude of agile models, Les Affaires paints a picture that tries to demystify the movement towards agility, still so popular among organizations attempting to follow the latest practices and integrate new ways of working, and delivering more in less time, with more value, to better serve their clients or consumers. The quote from Frédéric Moreau in the article perfectly explains the agility dilemma: “everyone is improvising as agileists.” He defines the concept as having two facets: working agile, which is a method of delivering IT projects, and being agile, a philosophy which can be applied to any field. We share this philosophy. It’s what allows us to approach everything we touch with a perspective of continuous improvement and innovation, and above all to adapt to a set of realities as diverse as our clients. But what secret weapon is hiding behind this success, that still allows us to ensure a high level of performance? Excellence in project management stems from an ability to see the big picture, a refined business acumen, a strong understanding of frameworks and an ability to be adaptable in the integration of best practices that meet the needs of the project, the client’s expectations and management style, as well as the project teams dedicated to delivering the project successfully. Across every industry, particularly digital, the decisions made within the framework of a particular project have ramifications beyond the Web. They have wide-ranging repercussions on strategic business directions and operational processes, right up to consumers’ purchasing decisions and the longevity of certain activities. We are seeing the emergence of a need for professional profiles that require the qualities of a project manager. We’re talking about the art of project management because we need to quickly understand and interpret a constant flow of information in order to make decisions or advise our clients on the impact their decisions will have on their products, services or businesses. Even if we know our services and project-types like the backs of our hands, every client project is unique and we constantly have to adapt to ambiguity. At Adviso, we prioritize project management as a vector of success for our clients; we use it to interpret their management styles and the processes they use to adapt. The risks constantly need to be identified, monitored, controlled and measured. Our curious, proactive nature is put to use in a continuous but abstract way. It’s a quality that’s intangible on a day-to-day basis, but is so advantageous in reassuring our clients in their quest for success. Having worked on several large-scale digital projects at Adviso, it goes without saying that the complexity of a project isn’t just about resource constraints or the risks we have to navigate daily, but is more closely related to understanding the humans at the heart of the project. By humans, I mean all the stakeholders, any individuals directly related to the project (the sponsor, client, team, etc. ), as well as the people who will be indirectly affected by the change brought about by the project. Our clients’ upper management aren’t always directly involved in the project, nor are the end-users, but they absolutely need to be considered in the governance of the project, which exists to facilitate their understanding and acceptance of the project. So, where do we begin? Identifying a sponsor or champion for the project is key. This person represents the change that the organization wants to implement, and plays a pivotal role alongside the project manager. The sponsor is required to report to management on how the project is advancing, raise any issues in terms of additional commitments needed from the company and support decision-making. The project manager acts as the main advisor to the sponsor, to help them make decisions and understand impacts. Together, this pair is able to mobilize the necessary resources, as much from a production perspective as from a political one. It’s true that the effort you invest in ensuring healthy project governance can erode the budget right off the bat, but like any good planning exercise, integrating these governance principles can not only save you money, but also a number of headaches down the road. The author Anne-Marie Luca says, “All the specialists in this article agree that the most effective project management is a customized one.” How true it is! Over the past few years we’ve adopted a hybrid model, where we base ourselves on the standards established by the Project Management Institute, while adapting their frameworks to our realities, those of our clients and the needs of the project. With rigorous methodology, we maintain a philosophy where agility is a state of mind. Though a project may respond to a need for change within an organization, it still represents a roller coaster of changes and information build-up, where for every new elementa decision must be taken. In a hybrid model, our ability to work with uncertainty, and to understand and integrate change requests allows us to stay on top of our fast-moving industry. This also allows us to evolve with our clients who are also suffering the storm-like effects of the digital revolution. A situation can reverse itself at any moment, but have you anticipated the risks? Are you aware of your actual risk tolerance? Do you know how you will react? What margin of maneuverability do you have to address unforeseen events? In all cases, you will always be faced with all sorts of changes, all kinds of issues. I challenge you to maintain your agility in the face of these changes, but not to the detriment of rigorous planning and empathy towards your stakeholders. Culminating 10 years of experience in project management and marketing, Kristel holds all the required competencies to ensure healthy project management with multidisciplinary teams. Thanks to her experience, she assures the efficient execution of diverse projects by foreseeing potential challenges and bringing forward imaginative solutions.